Want a new nose, but not sure about the commitments involved for treatment? One of the newer procedures available is a non-surgical rhinoplasty. 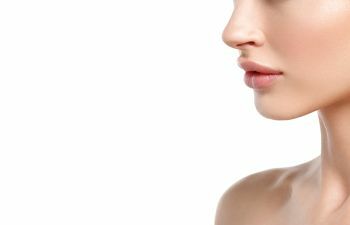 As a double board certified plastic surgeon, Dr. Stong is on the leading edge of the latest techniques, including the “liquid nose job.” While the method is not technically surgery, it does require the balanced, artistic hand of a first class surgeon. Well If It’s Not Surgery, What Is It? The liquid nose job uses a filler such as Juvederm or Restalyne, which Dr. Stong uses to effectively change the shape of the nose, creating straighter lines, and more lift. Even the safest surgeries carry a risk, but this procedure is an excellent way to get the results you want without the unknowns of surgery. You’ll see your results instantly, without bruising or swelling associated with traditional rhinoplasty. This type of procedure lasts for about 18 months. If you like the way you look, you can always have Dr. Stong provide touch ups, or try some subtle differences to get the profile you desire. Or, if you’re ready, you can schedule a surgical rhinoplasty to make your new shape permanent. You can make the changes you’ve been dreaming about, and not just for your nose; liquid lifts are also available for your eyes and mouth! Since they are not permanent, they’re a great way to get started with changes to your facial features. You can continue to finesse the changes until you are satisfied with the results! Dr. Stong is excited and proud to be able to offer this service as an option for his patients. Call to schedule your consultation today.